Organic foods can be regarded as foods which are free of artificial food additives and processed with as little as possible artificial methods like chemical ripening, genetic modification and food irradiation. Foods produced using organic methods are often touted as being healthier than foods produced with other methods. There is minimal scientific evidence to show that foods produced using organic methods are better than foods produced with conventional methods. 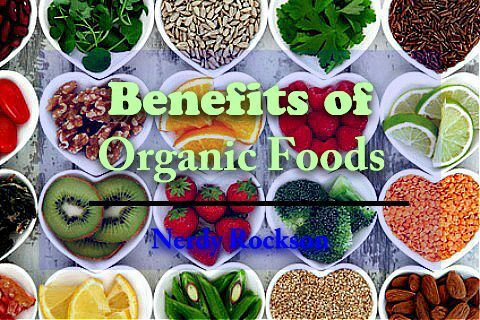 However out of the few research available, here are some of the proven or probable benefits of organic foods. Organically raised animal products have higher amounts of conjugated linoleic acid (CLA). CLA is a heart-healthy fatty acid that can help boost cardiovascular protection. It is found in higher quantities in breast milk and in meat of animals that have been raised free range or cage-free. Some studies claim that antioxidants are more effective if they are derived from organic foods. This is likely because there is no foreign chemical reaction with the vitamins, minerals and organic chemicals that are essential for the positive impacts of fruits in preventing cancer, premature aging, vision problems, heart disease etc. Genetic modification has led to a reduction in immune system strength reduction. It has also led to an increase in birth mortality, sexual dysfunctions, cancers and allergen sensitivity. Eating organic foods instead can help reduce this risk pending when genetic modification becomes less risky. pesticides used in treating non-organic produced foods contain chemicals like organophosphorus. This chemical is not needed in our body but can be found in it because of consumption of pesticide-coated foods. This chemicals have been linked to developmental problems like autism and ADHD. Organic foods help lower your risk of ingesting these chemicals.